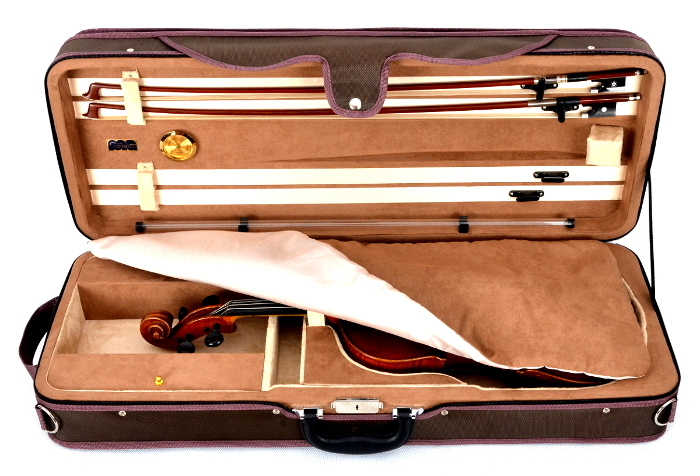 VIOLA CASE - MODEL "CARTADO"
Light, practical, and cheap, rectangular-shaped case for viola. It meets basic protection. It is possible to adjust space for violas body and place four bows inside. This case is recommended by us for school instruments.